CHILD Study research has found that infants who are breastfed have a reduced risk of being overweight in the first year of life—and that the protective association is stronger with longer and more exclusive breastfeeding. The study, published in the October 2018 isue of Pediatrics, looked at both body mass index (BMI) and the rate of infant weight gain—an important predictor of future obesity and cardiovascular health. It used data from more than 2,500 infants and their mothers participating in the CHILD Study. “Infants living in households where disinfectants are used at least weekly are twice as likely to have higher levels of the bacteria called Lachnospiraceae at three to four months of age," observes Dr. Kozyrskyj. “Those same children have a higher body mass index (BMI) at three years of age, compared to children not exposed to frequent home use of disinfectants as infants." AllerGen investigator Dr. Meghan Azad (University of Manitoba) met AllerGen Highly Qualified Personnel Alessandro Marcon (University of Alberta) at AllerGen’s 2016 Research Conference in Vancouver, BC. Their encounter catalyzed a unique research project that explored the question of whether or not Instagram users are building communities of support around women who breastfeed. The answer, the researchers found, is “yes”! 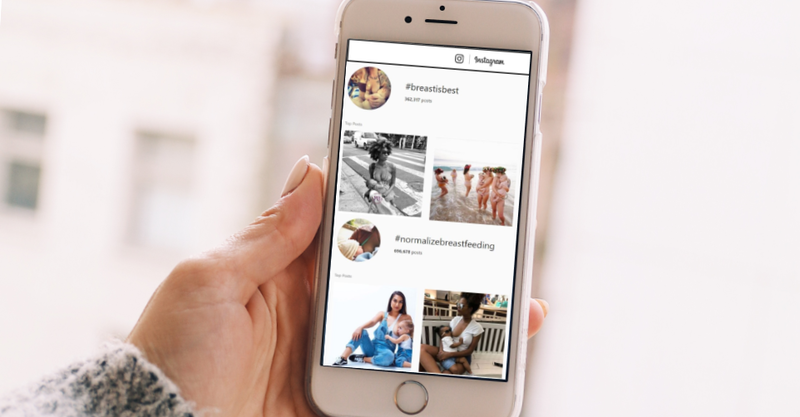 Analyzing more than 4,000 images and 8,000 comments posted on Instagram using popular breastfeeding-related hashtags, they found that the platform was used to create supportive networks for new mothers to share their experiences with breastfeeding. Discussions were overwhelmingly positive with virtually no hostile content. Their paper, “Protecting, promoting, and supporting breastfeeding on Instagram,” was published in Maternal and Child Nutrition in August 2018. The researchers suggest that Instagram could potentially offer “new avenues and opportunities to ‘normalize,’ protect, promote, and support breastfeeding more broadly across its large and diverse global online community.” This, in turn, could help improve breastfeeding rates by changing perceptions and building supportive communities for breastfeeding moms. Members of the Centre for Pediatric Pain Research have been working closely with the Canadian Association of Paediatric Health Centres (CAPHC) and many others across Canada and beyond on a proposal to support a new network called “Solutions for Kids in Pain” (SKIP). The Centre for Pediatric Pain Research will use your feedback to develop a network that will improve the way children's pain is managed in Canada and beyond! You can also follow their progress on Twitter @KidsinPain and #ItDoesntHaveToHurt. Mothers who are Black or of First Nations ethnicity are at greater risk of experiencing stress and symptoms of depression during pregnancy and their children’s first five years, according to new CHILD Study research. Dr. Subbarao and her team analyzed data from more than 3,000 mothers participating in the CHILD Study, who had completed detailed questionnaires in which they self-identified their ethnicity and described their distress levels during pregnancy and their children’s first years. Although self-reported depressive symptoms may not always translate to clinical depression, it is important for family, friends and healthcare professionals to be aware of potential problems and to support a mother’s psychological wellbeing both during and after pregnancy, notes Dr. Subbarao. The research was published online in August 2018 in the Canadian Journal of Psychiatry.